If you don’t want to do damage to your 78’s, you better play them with wooden needles. 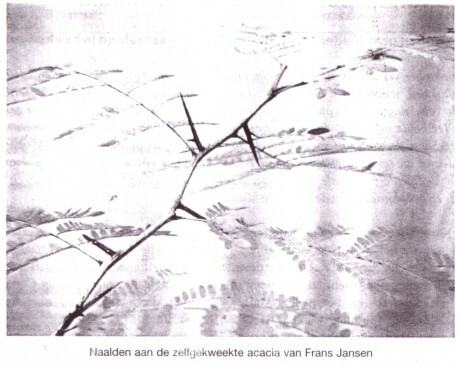 Here is a nice article by Frans Jansen about growing your own record needles. 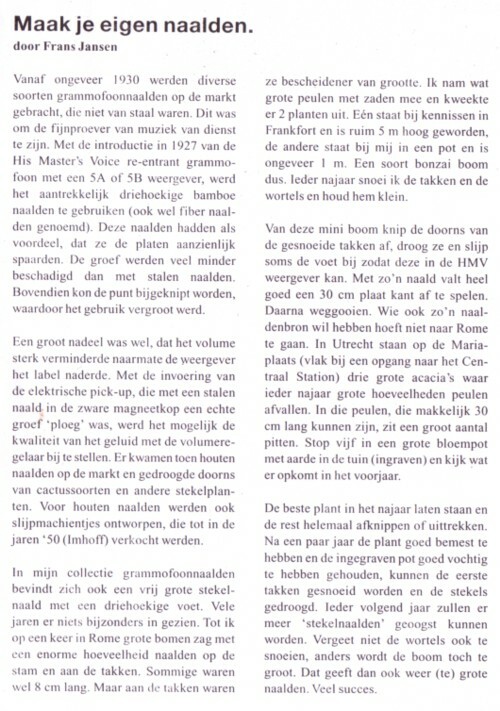 It was send to me by Dolf Hell, and I think it was published in ”De Weergever” , a Dutch magazine for collectors of 78rpm records. I don’t use wooden needles. I am not extremely careful with my records. If I think I have a unique record, I make a good recording of it, but the record itself is for playing. Thanks to the Internet, having a unique recording means less and less. One day every thing that has ever been recorded will be available to everybody in the best possible sound quality. I can’t wait! Here is 78 that might be pretty unique. 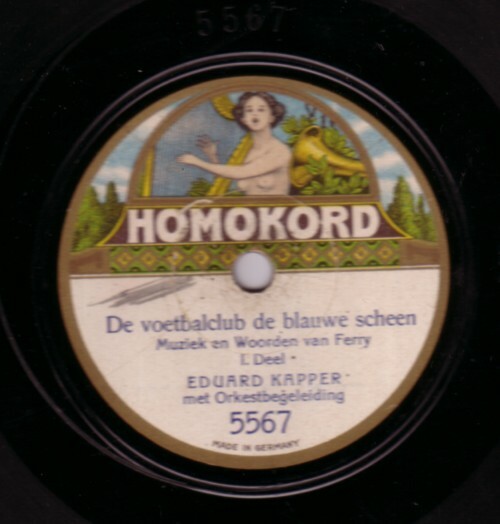 It is a weird story in two parts by Edouard Kapper about a soccer match, which seemed an appropriate choice for today’s soundtrack, with the European Championships starting soon. I am thinking about writing about soccer records only during that period, but that might be a bad idea.